The following instructions describe how to revert to the Vista or legacy 1394 Host controller bus driver. 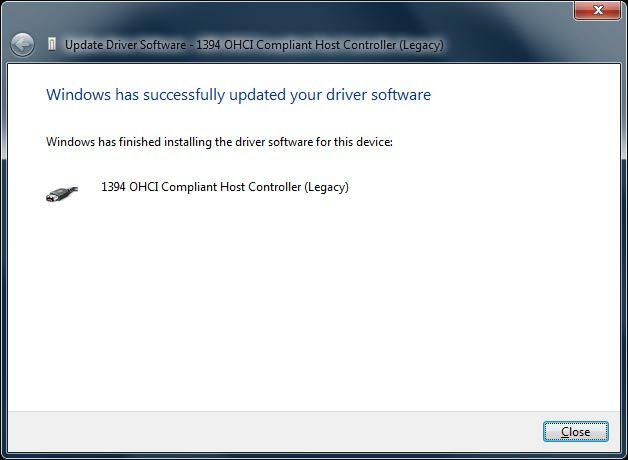 This driver is provided for backwards compatibility for Firewire device drivers that are not compliant with the new Windows 7 1394ohci.sys driver architecture. Click on the Start button. Now, type devmgmt.msc in the box with the text "Search Programs and Files" and press the <Enter> key. This will open the Device Manager. Step 3. 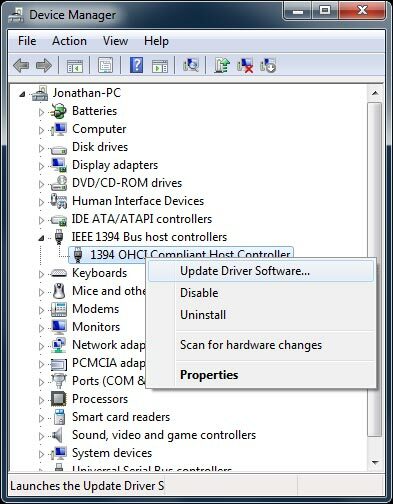 To do this, locate the Firewire (1394) controller in the Device Manager tree that you will be using with your FLEX-x000 software defined radio, right click it, and select Update Driver Software.... This will open the Update Driver Software window. Step 4. 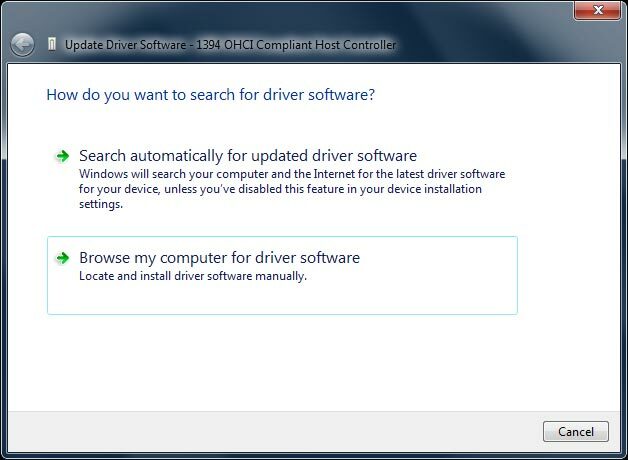 Now, select the Browse my computer for driver software (Locate and install driver software manually.) option. This will advance you to the next window where you will be prompted to browse for driver software on your computer. Read ahead, because you will not be doing any browsing. Step 5. 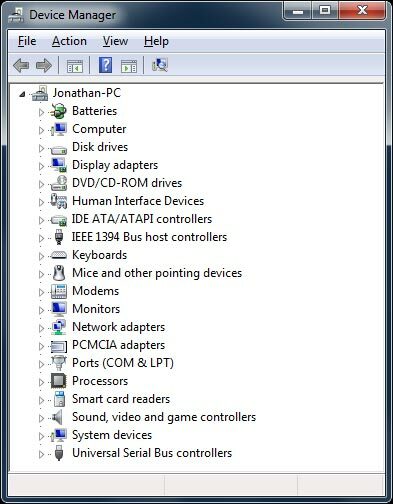 Now, beneath the browsing option select Let me pick from a list of device drivers on my computer (This list will show installed driver software compatible with the device, and all driver software in the same category as the device.). 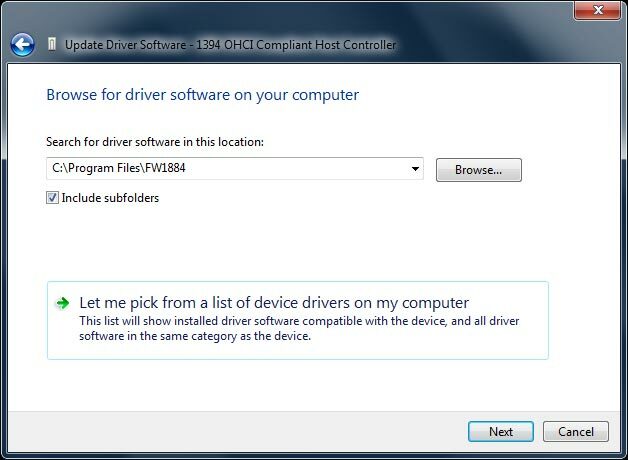 This will advance you to the next window where you will be prompted to select the device driver you want to install for this hardware. Step 6. 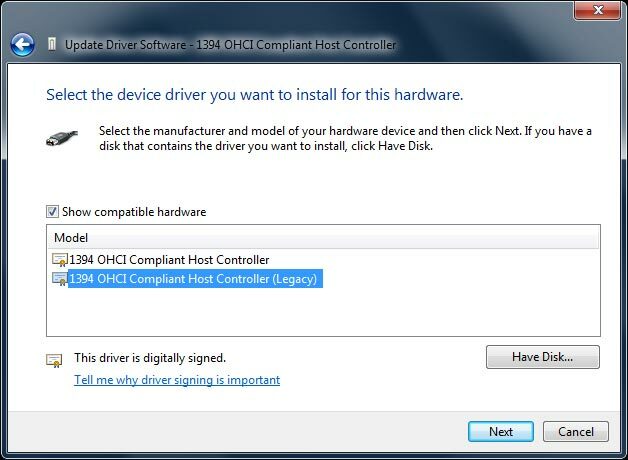 Now, select the 1394 OHCI Compliant Host controller with the word Legacy appended to it and then click Next. This will advance you to the next window where the driver will be installed. Step 7. When the installation is complete you will advance to the final window where you are informed that Windows has successfully updated your driver software. Rated 3 stars based on 25 votes. Article has been viewed 57,822 times. Execution: 0.297. 9 queries. Compression Disabled.